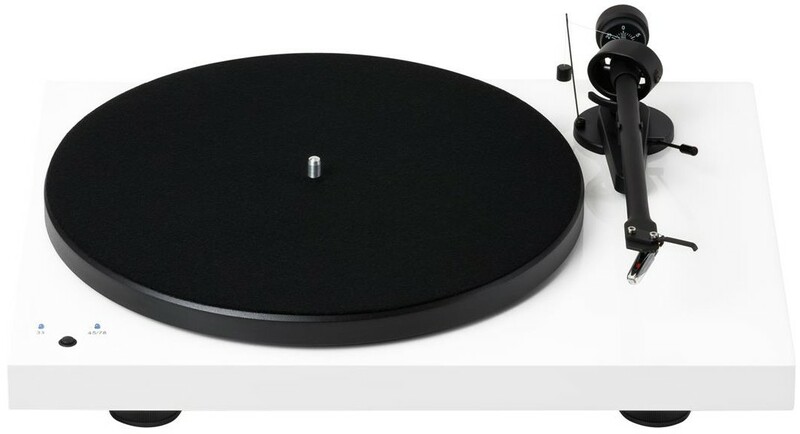 Debut RecordMaster is built for music lovers wanting a more feature rich turntable, available at a very attractive price point. Pro-Ject Debut RecordMaster adds built-in speed control and phono stage with USB recording function to the iconic design of the Debut III turntable for a great value with first-class audio design principles. When the first Debut turntable was introduced to the market in the late 1990s, it was revolutionary. It was presumed that CD's signalled the end of vinyl records, however, the demise of vinyl never occurred and now a turntable has emerged on the “mass market” that all music lovers can afford. 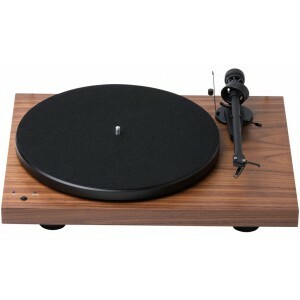 The turntable comes with significant improvements over earlier models, such as an increase in the size of the platter, and weight, to improve the smoothness of rotation, and subsequently improve the quality of the sound output. The design of the belt drive results in low noise AC motor with effective motor decoupling (via TPE), ultra-precision frequency DC-driven AC generator for the ultimate speed stability and consistency. The Debut RecordMaster is a fully analogue turntable, driven by a belt-drive motor which is protected under a 12" metal platter. 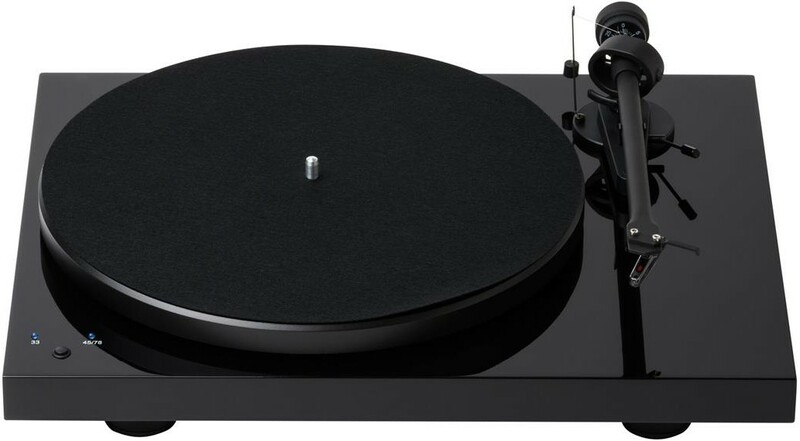 The sturdy MDF chassis of the player, specially selected turntable feet and audiophile-grade Teflon-lined main bearing all have good anti-resonant properties. The integrated phono stage with supplementary A/D conversion and USB port enables direct connection to a Line or Auxiliary on your amplifier to a PC or Mac for USB recording simultaneously. The Debut RecordMaster has the same tonearm as the multi-award winning Debut III and Essential II turntables from Pro-Ject. The turntable is designed with a strong, lightweight aluminium tonearm with low-friction bearings. To ensure optimal sound quality, the aluminium tonearm is supplied with an Ortofon (OM5e) cartridge as standard with the elliptical stylus pre-installed. 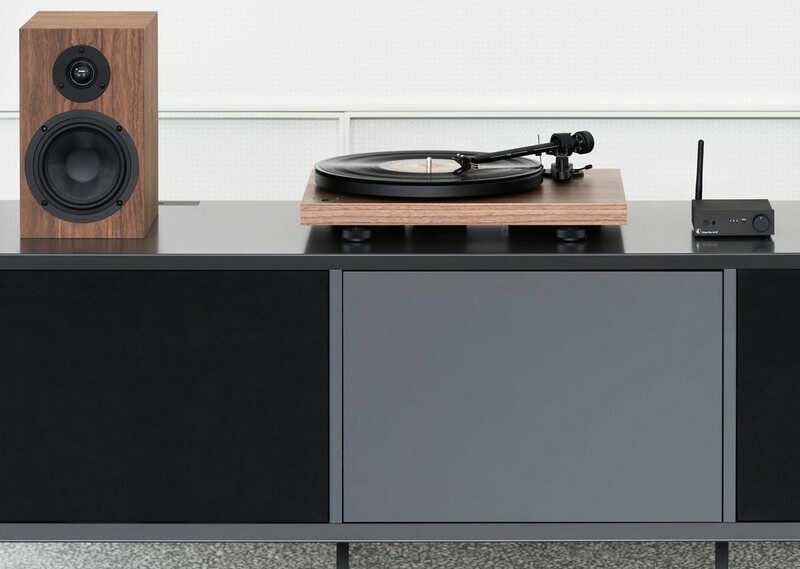 The result of the design choices is a true hi-fi turntable without complicated set-up or installation process required with other turntable. Designed specifically for easy operation, the turntable has the capacity for 33, 45 or 78 RPM, with the 33 and 45 RPM speeds being chosen by simply pushing a button. 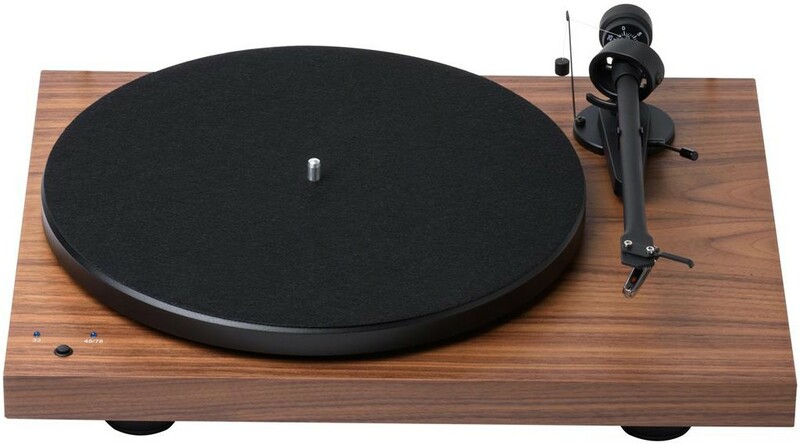 With this turntable, no musical genre is out of bounds for this sophisticated player. This turntable is highly convenient and versatile, the electronic speed changer, known as the Speed Box, gives the user the possibility of playing 78rpm records. A simple exchange of stylus to OM78 (not included) and a drive belt turnover to the larger diameter of the pulley is required, that's all! Debut RecordMaster is very versatile for an analogue turntable, it comes with the cartridge pre-mounted, the phono preamp is built-in with USB output, so the output to the line-level input of your hi-fi system and recording of vinyl to PC/Mac can be done simultaneously. By having a Line-level output means you do not need a separate phono pre-amplifier or special input on your amp. Plus with a USB output, you will be able to copy CD' at 16-bit quality with minimal set-up required. Debut RecordMaster is available four fantastic finishes of high-gloss black, red, white and walnut matte.